Note:This Product Is Restricted In AK , DC , HI. Complete non-selective broad-spectrum post-emergence herbicide for crop and non-crop industrial turf and farmsteads. Controls annual and perennial weeds trees vines and shrubs pasture grasses forage legumes and rangelands. Made in the usa. . . 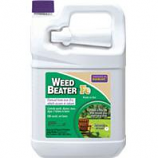 Puts an end to weeds in your lawn. 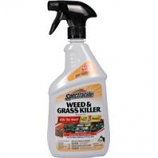 Kills over 250 types of weeds including crabgrass and yellow nutsedge. This fast-acting product produces visible results in just 8 hours. . .
Fast acting formula that kills and eliminates over 155 types of weeds down to the root. Used on patios walkways and driveways around flowers shrubs and trees along fences and foundations and in large areas. Rainfast in 15 minutes and provides visible results in 3 hours. . .
• Selective, Systemic Action Kills Broad Leaf Weeds, Roots and All! 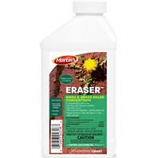 Puts an end to weeds in your lawn. 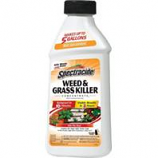 Kills over 250 types of weeds including crabgrass and yellow nutsedge. Fast-acting product produces visible results in just 8 hours. . . Visual results as fast as 3 hours. Rainfast in 15 minutes. 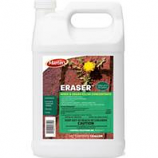 For use on patios walkways and flower beds. . .
• Controls Grass/Nutsedge Weeds, Broadleaf Weeds, Trees, Brush, and Vines. Kill fast with no poisons or chemicals. Just add bait and engage locking bar. 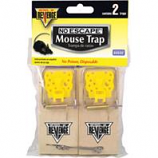 Snap traps feature 4-way release mechanism. Disposable. . Kills weeds and grasses roots and all. Works two ways. Season long control. Controls grass/nutsedge weeds broadleaf weeds trees brush and vines. .
Chicken and roost insecticide for control of lice and mites. 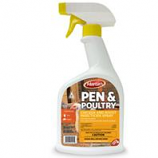 For use on poultry and in and around animal housing. Ready-to-use. Convenient two-setting sprayer: stream for spraying roosts and fine mist for spraying directly on poultry.. . .
• Covers 5000 Square Feet. Stop weeds before they start!. An effective home barrier treatment. Kills harmful listed insects on contact. . .
Stop weeds before they start!. 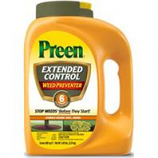 Sprinkle around trees and shrubs. . . .
• Preen Garden Weed Preventer Prevents Summer and Winter Annual Weeds From Growing In Flower and Vegetable Beds. 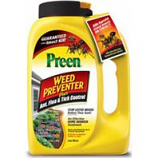 • Preen Garden Weed Preventer Prevents New Weeds From Growing, It Does Not Kill Existing Ones. 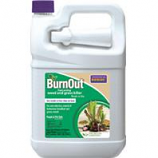 • Sprinkle Preen Garden Weed Preventer Evenly Over The Soil Surface At The Rate Of 1 Oz. Per 10 Sq. Ft.
• Visible Results In Just 24 Hours. Note:This Product Is Restricted In AK , DC ,HI. Kills broadleaf weeds not the lawn. People and pets can re-enter treated area when spray is dry. 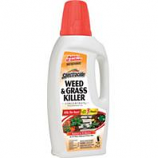 Kills most common weeds: clover common chickweed dandelion creeping charlie ground ivy thistle and more. 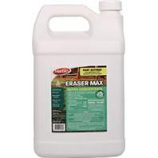 Best applied in the spring & fall when temperatures are between 50 f and 85 f. Controls weeds disease moss algae & lichen. 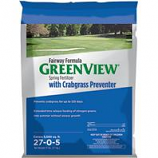 Prevents crabgrass and other grass and broadleaf weeds (as listed on label) up to 4 months. Extended time release feeding of nitrogen greens into summerwithout excess growth. . . . 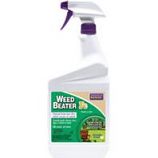 Kills all types of actively growing weeds and grasses safe for organic gardening and for use around people and pets. Rainproof when dry works at temperature as 40 degree f does not translocate. For use around borders driveways sidewalks around the base of mature tree around buildings fence lines barns and more. Dissolves waxy cuticle coating on leaf and the plant tries out. .
Works safely and effectively to eliminate insects inside your home. Perfect for use in kitchens pantries basements and garages. People and pet safe. 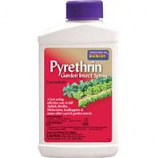 . .
Natural pyrethrin in a concentrated formula for economical natural broad spectrum garden insect control. . . . . 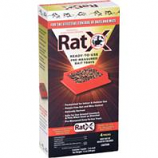 Naturally drives rodents from around homes garages gardens sheds patios wood piles barns stables cellars and trash ca. 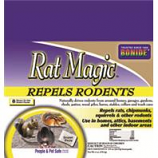 Repels rats chipmunks squirrels and other rodents. Use in homes attics basements and other indoor areas. People and pet safe. .
For use on fruit vegetables flowers trees and bedding plants to stimulate early and strong root development. 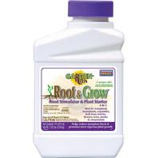 Contains 3-10-3 fertilizer plus vitamin b-1. 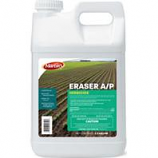 Can be used as a starter fertilizer when installing sod. 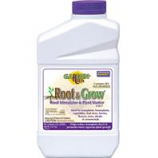 Stimulates early and strong root development. Made in the usa. Derived from iron. 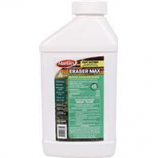 Controls weeds disease moss algae and lichens in lawns. Kills dandelions and clover. People and pets can enter treated area when spray dries. .